← How Dangerous Is a Cracked Windshield? People tend to get a car detail in the spring and summer, since the sun provides a nice shimmer on the fresh coat of wax. However, we also strongly recommend a winter car detailing for reasons we are about to explain. Why a Winter Car Detailing? Bellingham isn’t the coldest region in the country by a long shot. Nevertheless, it’s often still cold enough for the roads to require salting. Road salt is abrasive and will exfolitate the paint from your vehicle and cause the metal surface to corrode. It’s not just road salt you need to watch out for. Natural elements like ice, snow, mud, and other debris can cling to your car. This traps moisture against your car’s finish, once again leaving it vulnerable to corrosion. It’s important to frequently wash your car during winter to remove the salt and other debris. You should also engage a professional to detail your vehicle. This process includes applying a sealant that acts as a protective barrier. The sealant fills in the pores, scratches, and pits on the car’s surface. This makes it perfectly smooth, preventing dirt, oil, or water from adhering to the surface. The car interior is just as susceptible to the winter elements. All that salt, mud, and water can also cling to your shoes and clothing. The debris is then transferred to the upholstery when you step inside the cabin. If not regularly cleaned, the upholstery can begin to stain and emit a foul odor. 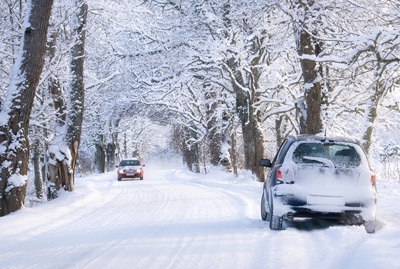 Winter is here; be sure to give your car the care it deserves during this time of year. Contact Bellingham Detail & Auto Glass for a thorough winter car detailing; our car protection package will ensure a clean car safe from the harsh weather. Posted on January 28, 2017 under in advice | By ignite.